My previous review of Macallan Cask Strength got me thinking about what the “Mac CS” of the 2017 whisky world is. Enter Elijah Craig Barrel Proof. Elijah Craig Barrel Proof is a small batch, 12 year old Elijah Craig that is (unsurprisingly) bottled at cask strength. The 12 year age statement is gone from the regular 94 proof small batch release and the higher aged releases are tough to find but ECBP is a relatively available cask strength bourbon at a very fair price (about what I was paying for Mac CS back in the day). Elijah Craig Barrel Proof recently won top whiskey of the year accolades from Whisky Advocate Magazine. While it doesn’t seemingly carry the same weight as a Jim Murray top pick, this release is still being recognized by people who truly get whisky and that says something. I haven’t tried the award-winning B517 yet but it hardly matters which batch you try because they are all quite consistent. This review is from the excellent 136 proof release. Let’s find out what all the fuss is about. Nose Toffee, kettle corn, allspice, caramel, banana, toasted oak. A sugary sweetness comes forward with some water. I know it's only 12% barley, but it feel like it has a huge impact on the balance of this bourbon. Taste Sweet and malty as the nose suggested, butterscotch, honey, clove, pipe tobacco, orange, rich oak. Drinks way less than 136 proof, even when trying it neat. Finish Plenty of corn and baking spice (pumpkin pie filling), leathery, vanilla and oak underneath, no harshness at all from the high proof. 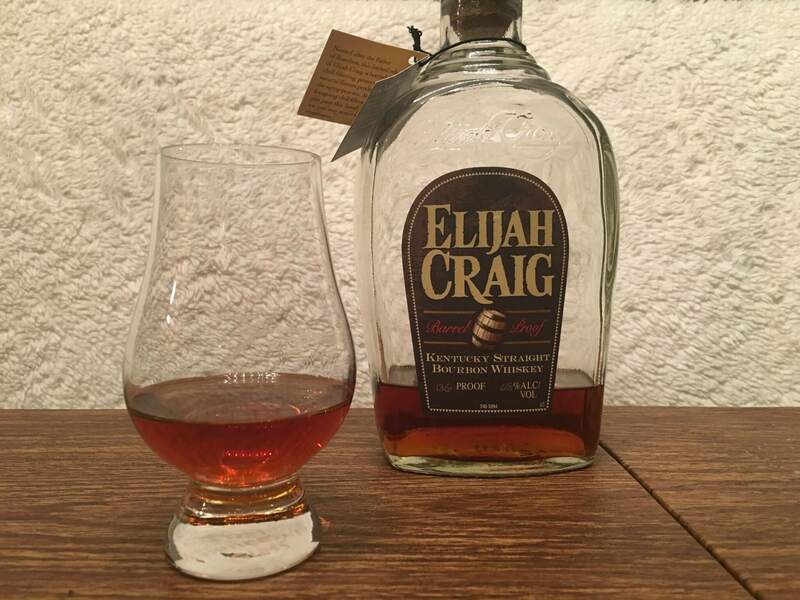 Overall Thoughts When Elijah Craig dropped the 12 year age statement from the Small Batch release, I figured it was the beginning of the end for the product line. As long as they keep pumping out Barrel Proof releases, all is forgiven between me and Heaven Hill.